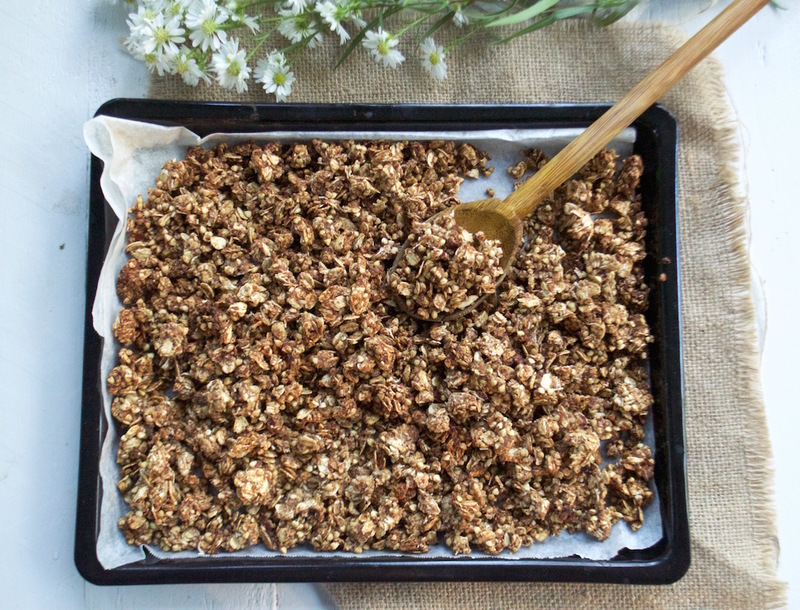 Making your own granola is the way to go! It is quick, easy and the best thing about making your own is that you control what goes in it. 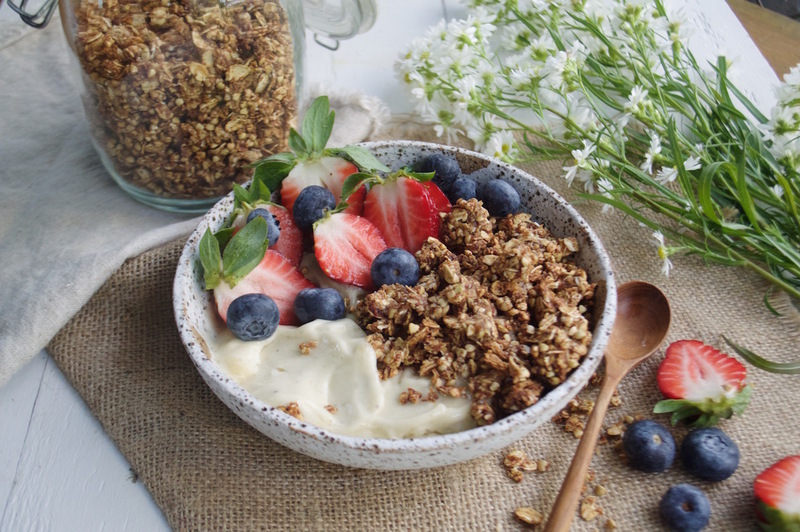 Homemade granola is made using whole food, natural ingredients loaded with fibre and is naturally sweetened with dates. 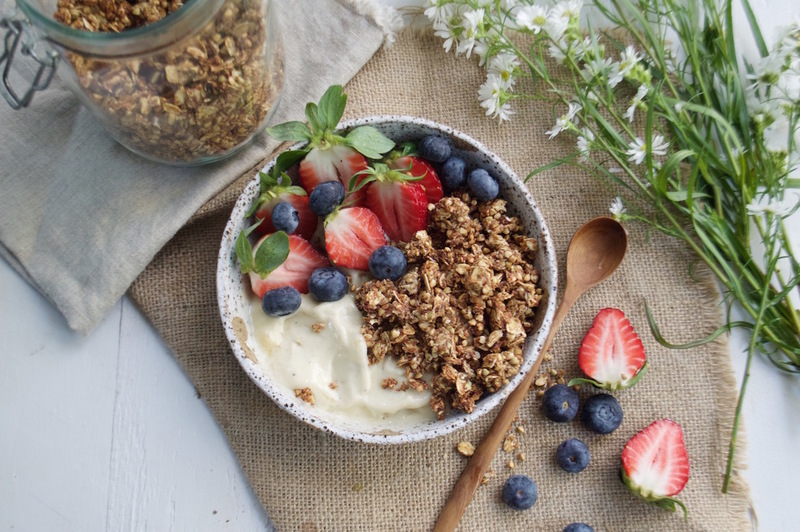 It’s also a much healthier alternative to store bought granola which usually contains lots of oil, refined sugars, and salt! You will need: baking tray, baking paper and food processor or blender. Pre heat oven to 160* degrees. 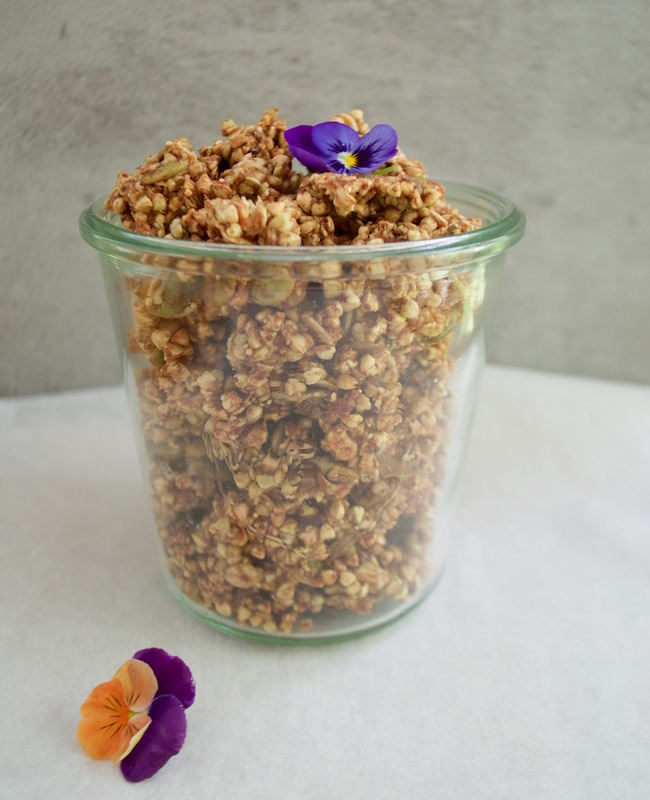 In a bowl, mix together oats, buckwheat, puffed quinoa, coconut, pumpkin seeds, cinnamon, salt and set aside. Take the dates out of the water and remove the seeds, place in blender along with coconut oil and hot water and blend until it becomes a paste consistency. Line baking tray with baking paper and spread out mix onto the tray. Bake for 20-30 minutes turning occasionally so it doesn't burn and when it becomes light to golden brown, take out of the oven and cool (when it cools down it will harden up) then store in a air tight jar! Enjoy on top of yogurt, almond milk or banana nice cream!